Japa is a spiritual practice in which a mantra is repeated, either silently or aloud. 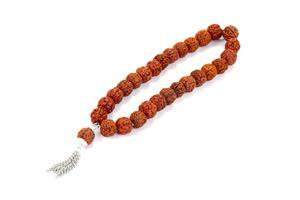 A string of beads, called a mala, or a specially designed japa ring may be used to facilitate a state of concentration while repeating the mantra. Siddha Yoga students practice japa by repeating Om Namah Shivaya, the initiation mantra of the Siddha Yoga path.